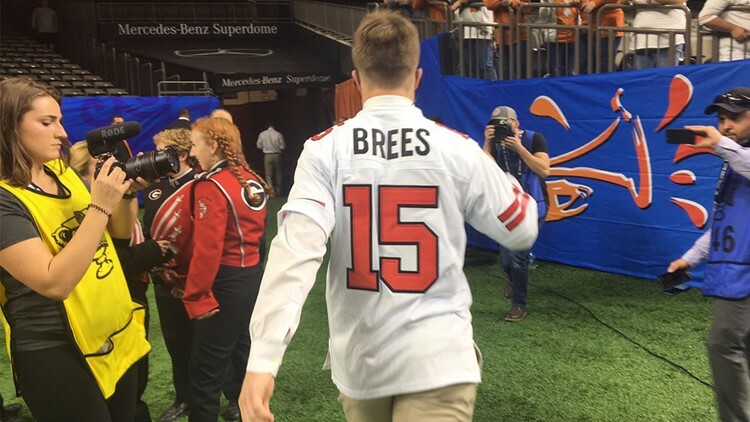 Texas quarterback Sam Ehlinger was seen donning the high school jersey of a fellow Westlake alum, Drew Brees, before the Sugar Bowl in New Orleans. 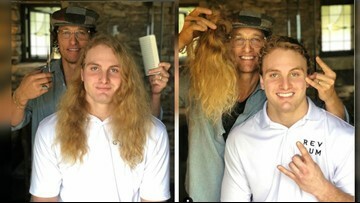 Texas Longhorns senior defensive end Breckyn Hager made true to his word and received a hair cut from Matthew McConaughey after winning the Sugar Bowl. 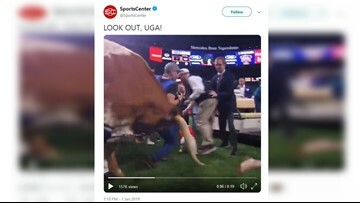 After the Texas Longhorns' mascot, Bevo, was spotted charging toward the Georgia Bulldogs' mascot, Uga, PETA is again calling on colleges to end the usage of live animal mascots. 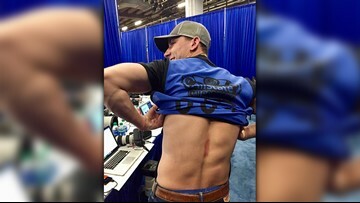 Photographer Nick Wagner, along with Uga the Georgia Bulldogs' mascot, were two of those who were caught in the path of Bevo's charge at the Sugar Bowl. 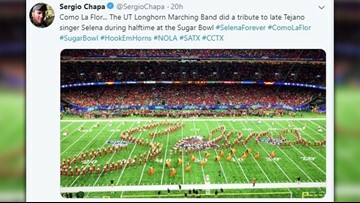 The Texas Longhorn Band performed Selena's "Como La Flor" during the halftime show at the Sugar Bowl. Bevo can be seen on video charging at the Georgia Bulldogs mascot during the Sugar Bowl pregame. VERIFY: Is Bevo, Texas Longhorns’ mascot, drugged during games? 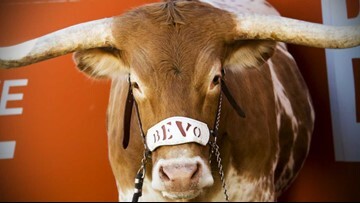 Bevo's owners say no drugs are involved when the Longhorns' mascot is in loud environments. 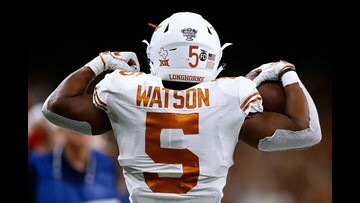 Here is an updating LIVE blog of the Allstate Sugar Bowl game between the Texas Longhorns and Georgia Bulldogs. 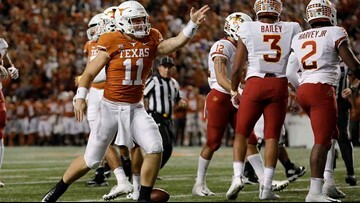 After defeating the Georgia Bulldogs 28-21, Texas sophomore quarterback Sam Ehlinger said the magic words that Longhorn fans have been dying to hear for years. 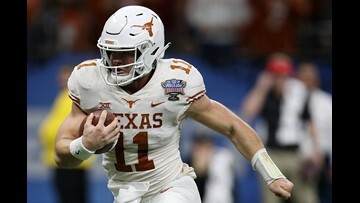 Texas defeated Georgia 28-21 in the Allstate Sugar Bowl to secure the program's first 10-win season since 2009, when the Longhorns last played for a national title. 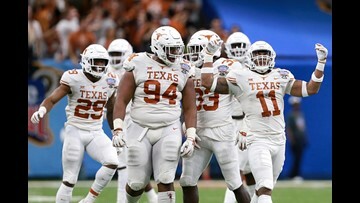 Here is an in-depth look at the Texas Longhorns' journey to the Allstate Sugar Bowl in the 2018 college football season. 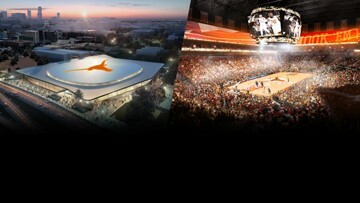 The arena will hold about 10,000 people for UT basketball games and can expand to 15,000 seats for other events when needed.